She has been one of the best pastry chefs I know and her baking skills are her superpower! We worked together for a couple of years and that’s when I got to know her on a personal level too. She is a lady who puts her heart and soul in all she does always learning the latest in her profession and she is a Cordon Bleu Chef. She was stylish and knew a lot about personal grooming and fashion; saw many people seeking her advice. In fact I was one of them, I hardly experiment but she would coerce me to. Her cakes and chocolates were equally amazing- that being my topmost weakness, one can imagine what she meant to me. She took up other assignments then as moved on; as a fellow Gemini I know very well that we are filled with creativity and we need outlets to express. We hate routine and things that are mundane don’t interest us. She did some exciting work; she travelled around the globe and shared her travelogues. The work and her life looked picture perfect! She was back in Mumbai and that’s when I connected with her and I learnt that she was doing something quite different yet again and that’s Image consulting. I congratulated her as I feel that she is a natural at it. Something that she was doing all through could now be offered professionally and it was giving her another challenging career a break from baking. I am certain she’d continue with bother her passions. 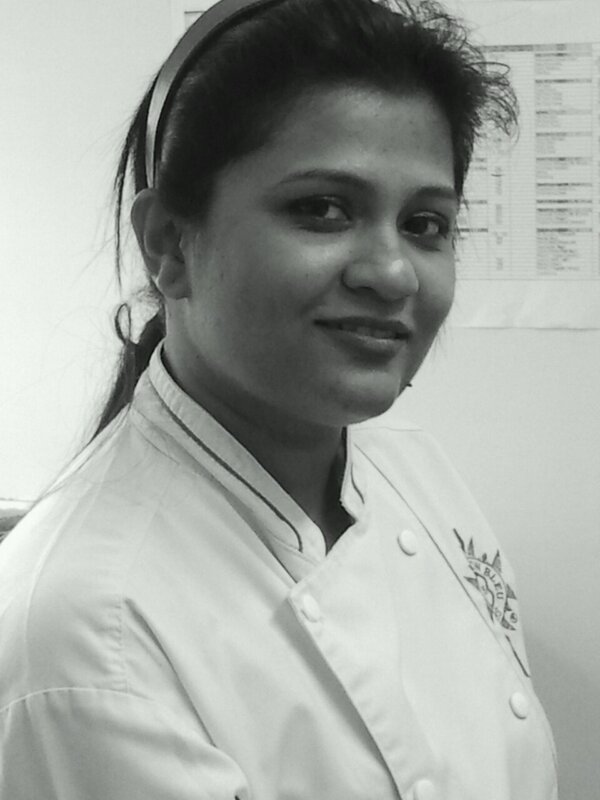 Here’s IWH in conversation with Chef Veena Picardo, freelance trainer, an entrepreneur and a blogger. IWH: Tell us something about you, your growing up years, and life through School College etc. Veena Picardo: Growing up life in school was pretty uneventful I guess I blossomed after I joined DY Patil HMCT may be that’s why to this date just recalling those days with my batch mates cheers me up. The memories of attending food production practicals, the mischief we used to make, the events we conducted have formed a Deep rooted base of whatever I am today. IWH: What made you select Hospitality as a career? Was it easy to make that decision? 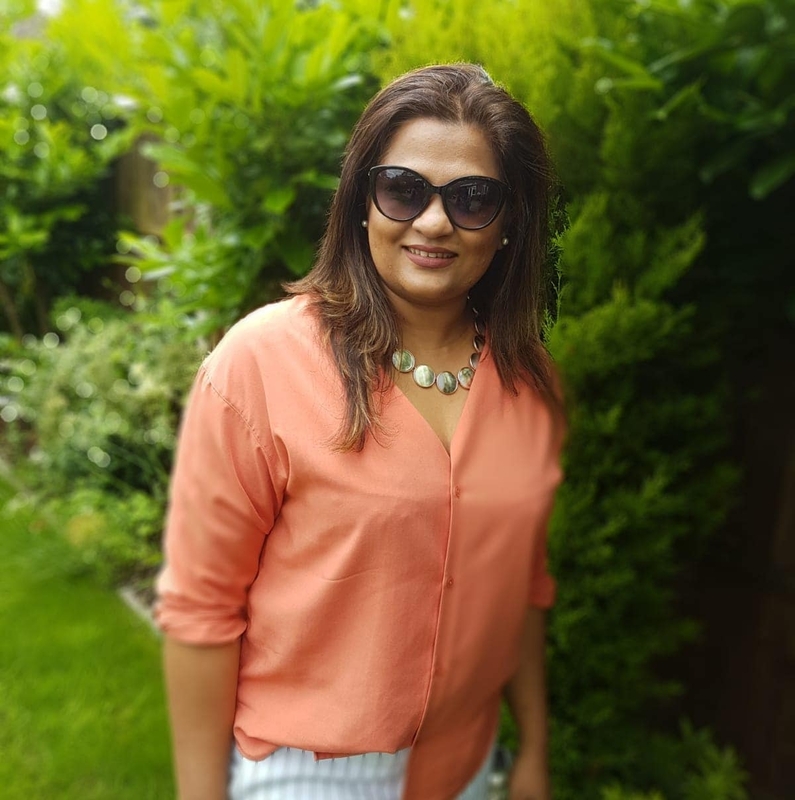 Veena Picardo: I found I was naturally attracted to everything about food right from my childhood days therefore taking up hospitality as a career choice was an automatic decision. 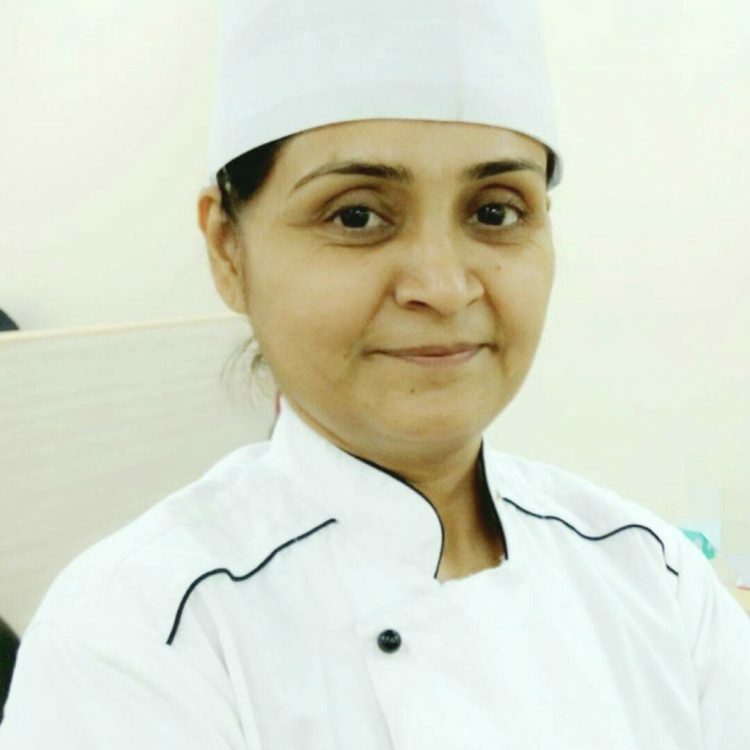 Veena Picardo: Growing upl; life in school was pretty uneventful I guess I blossomed after I joined DY Patil College of Hotel Management and Catering Technology. May be that’s why to this date just recalling those days with my batch mates cheers me up. The memories of attending food production practicals, the mischief we used to make, the events we conducted have formed a Deep rooted base of whatever I am today. Veena Picardo: That’s a tricky question over the years I have taken up many diverse roles there is not just one particular role that I have restricted myself to. Right now I am a freelance trainer, an entrepreneur and a blogger. Veena Picardo: This will be quiet a lengthy reply. It’s been 20 years that I am a part of Hospitality industry and cherish each and every moment of it. I am very passionate about food but funnily enough I never really took the traditional path of joining the Hotel Industry instead I went along the parallel lines of being a chef trainer and I think that was best decision of my life. Teaching students and being associated with young minds was something wasn’t just another means to livelihood for me but something I am extremely passionate about. I just love to see the young generation evolve, the way they innovate and come up with new possibilities in the field of hospitality. Cons: I feel there not enough research and documentation in the Indian culinary world. The world is opening up to the joys of Indian food however we haven’t showcased even 1/4th of that is to offer from our cuisine. There is lot we can do there. Veena Picardo: In my 20 years of being in this industry I have diversified a lot therefore it will be difficult to point out any one person with being a role model however I would like to thank all my teachers and friends who have constantly encouraged me to be what I am today. IWH: What have been the high point of your career? Veena Picardo: In my diverse career I have had quite a few high points in my career. I still remember the day 10 years back waiting for a bus to arrive and suddenly making a very impromptu decision of resigning from much secured teaching job with DY Patil University and going to the UK to take up course in Baking from Le Cordon bleu. At that point I dint have any money or a plan but just a thought that I want something more from life and that was the biggest turning point in my life so at the age of 30 were for the first time I sat in a plane or travelled abroad. I embarked on a journey after which I never really looked back in life. All the hospitality schools I have been associated with from Dr.Dy Patil University ,Apeejay Institute of Hospitaity , ITM Hospitality school to Auro University have been a huge career turning point in the advancement of my career. Next high point was when I started my own entrepreneurial venture of starting a Cake shop Picardo’s That again was an adventurous journey but I am proud to say that it’s been a successful venture. Along the way I also I started a baking blog called bakinginthehills.com which I feel very happy to be associated with.After which I joined MARS as a personal chef to Mr Sanjay Narang my time there was very different to all I had been doing so far it was a lot of fun with tremendous learning. I got a good understanding of how the elite live, understanding nuances of the luxury industry. And now I am going through another turning point that has to do with Image building and soft skills training being in the teaching industry for so long has opened up a new possibility of soft skill trainer. Being also associated with Hospitality industry I found there is a lot I can offer as a soft skill trainer as being in hospitality we automatically trained in conducting ourselves with good manners & etiquettes. Veena Picardo: I guess the biggest challenge I faced with being a women is to live in prejudiced society that just because I am women I will be needing that extra help. Time and again I had to prove myself that if not better I am equally good with my work as any men in my field I don’t need the extra help, nor support. I am what I am because I want to be. 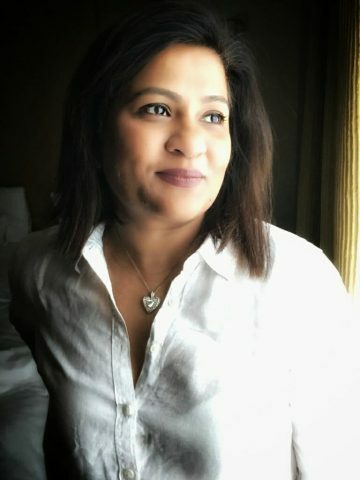 Veena Picardo: I love and cherish each and every moment of my life I have been fortunate to be blessed with great places I have worked for to fantastic colleagues I had the good fortune to work with and the not so great moments were the lessons I learnt from which only helped to uplift my life. Veena Picardo: IWH is a fantastic and much needed initiative in the field of hospitality. There is a lot we women can offer in the field of hospitality I am really proud to be associated with it and hope I can contribute in any way possible for the upliftment and growth of this forum. A big thumps up to Ms Laxmi Todiwan to take up this challenge and taking up this far! IWH: Your Advice to the young professionals and students? Veena Picardo: My advice to the young professionals would be that Hospitality does not just mean being associated with Hotels the curriculum does not just teach you to work with the hotel industry but also teaches you so many thing for e.g. How to behave, how to dress, etiquettes, manners and these skills are much more in demand nowadays therefore explore your possibilities in other industries like the airlines, marketing, retail sector etc. What a lovely conversation we had with this multifaceted lady. The readers especially the young professionals will take many lessons and tips from the inspirational journey of Chef Picardo.